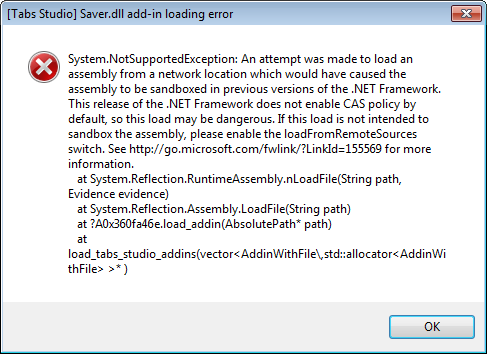 Tabs Studio v2.0.6 released – added more add-ins loading error diagnostic, fixed inability to run Tabs Studio from a network share in VS 2010. 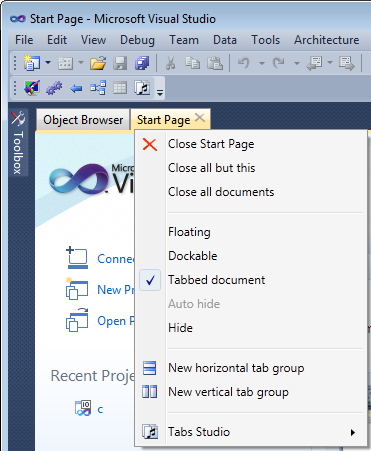 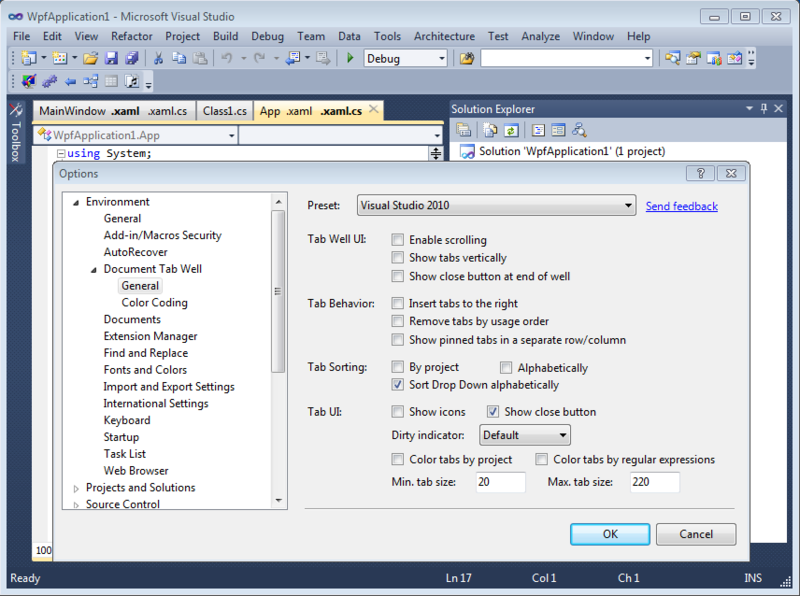 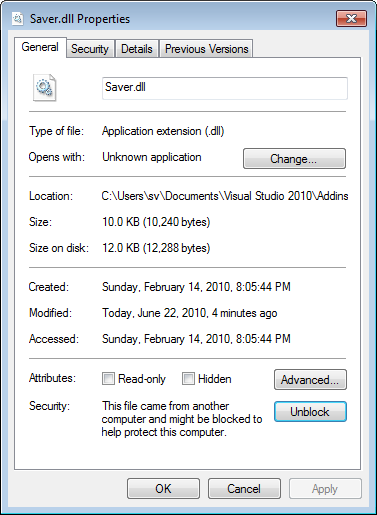 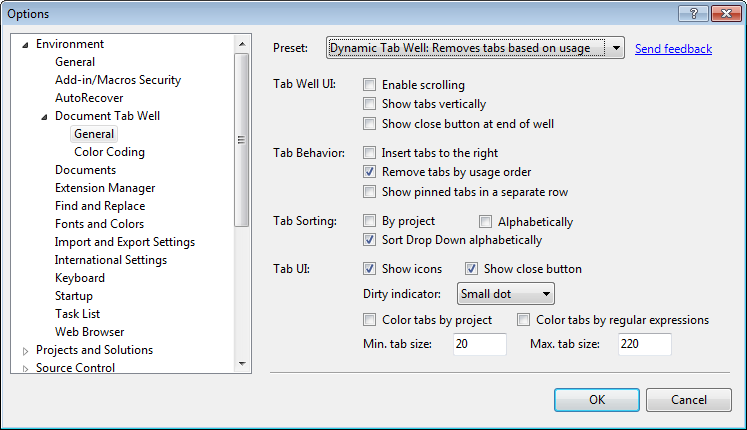 Tabs Studio v2.0.5 released – added Visual Studio 2010 Pro Power Tools support, added tab floating on double click in VS 2010, improved compatibility with other add-ins’ toolbars in VS 2010. 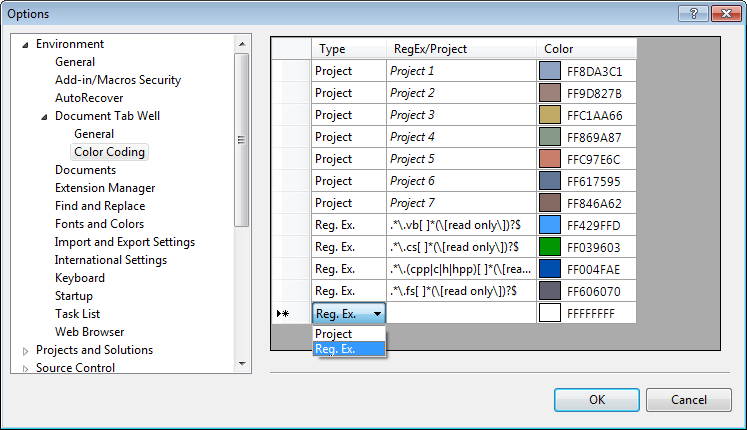 Or you can uncheck the Enable scrolling option (to prevent scroller artifacts) and uncheck the Color tabs by project option (to use default colors for the line under the tabs) in the default Scrollable Tab Well preset.